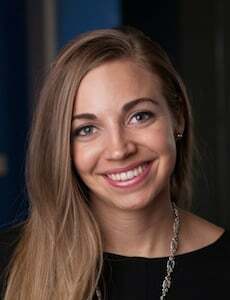 Kelsey Meyer is the President of Influence & Co., a content marketing firm specializing in helping companies showcase their expertise through thought leadership. Influence & Co.’s clients range from venture-backed startups to Fortune 500 brands. Connect with Kelsey on Google+ or tweet her @Kelsey_M_Meyer. In February, LinkedIn opened its publishing platform. And it’s no surprise to LinkedIn fangirls like me that it’s going well. My company, Influence & Co., and our clients were some of the early adopters of the LinkedIn publishing platform. 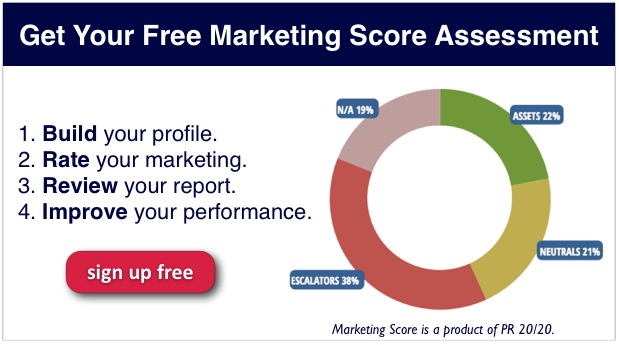 I’ve seen its progression from the Influencer program to its publishing platform open to the public to the launch of its new scoring tool. I’ve written and read a lot of posts; I’m getting a good idea of what’s working and what’s not. Because you’re a busy person, I’ve whittled down the best three articles on LinkedIn publishing to give you the most important takeaways. Write about your area of expertise, and use personal anecdotes. My article on female leaders, which earned the most views and my best engagement, was about something that hits very close to home: the way content about women in business is written. Because I was passionate about this topic, had read hundreds of articles, and work with female experts who write on the topic, I had a unique perspective to write from. LinkedIn is full of professionals, so it’s important to think about what makes your expertise unique when determining what to write about. Yes, people read the title — and headlines are important — but the image needs to be engaging, too. My articles receive more engagement when the photos I use look like real photos. Using photos of people, or even your own photos, can be a lot more valuable that using stock images. If you do use stock photos, though, check out the Lean In Collection — those images are beautiful. Include a bio at the bottom of the post. This is spot-on. If you’re utilizing the LinkedIn platform to showcase thought leadership and engage your audience, you need to let them know how to learn more from you. They need to know who you are. A link to your Google+ profile so Google can pick up your LinkedIn authorship. A hyperlink that links your company name to your website. Don’t link a keyword; instead of trying to get some kind of SEO benefit, just link your company name so readers can find your site easily. Traditionally, my company isn’t a fan of calls to action in bios, but that’s when you’re contributing to external publications. Your LinkedIn column is essentially your own personal blog with built-in distribution to your network. People are choosing to follow you there, so it makes sense that you give them the opportunity to learn more if they want to. Just don’t use a call to action leading them to purchase something. This is great advice regardless of where you’re contributing. When you’re sharing your expertise, you owe it to readers to respond to their comments. If you struggle with knowing which comments to respond to — and how to respond to comment trolls — you can read this guide I wrote for our company blog. Perfect your LinkedIn profile first. If you’re just “on” LinkedIn and have few connections, zero endorsements, and aren’t involved in any groups, you probably shouldn’t rush into contributing to the platform. The goal is that your connections (and their connections, then their connections) will read your content and be intrigued to learn more about you as an expert. Your expertise should be conveyed in your profile — not just your content. Use the platform as part of your overall marketing strategy. Don’t go and fire your agency of record just yet. LinkedIn’s platform is just one piece of the puzzle, and you’ll actually need quite a bit of help to take full advantage of it. Think of this as one way to reach an audience and bounce ideas off them. Utilize your LinkedIn content as a marketing asset in your other channels. We encourage our clients to write articles that address potential customers’ pain points, then to give the articles to their sales teams to share with prospects. I share the post in relevant groups. Don’t be “that person” who’s only involved in groups for self-promotion, but do share relevant articles you write with groups that you think would find them valuable. Again, ask a question when you post the article to catalyze the conversation. Now that you’re armed with some excellent tips on writing and distributing great content on LinkedIn, you might be wondering how to get more views or be picked up in a channel. Other than the tips and linked articles above, a lot of it is still a mystery. Some articles get picked up by LinkedIn channels, and some don’t. When an article gets picked up in a channel, it gets automatic distribution to everyone who follows that channel, which gives the article a huge boost in readership. We really don’t know what makes LinkedIn put an article in a channel. It could be based on comments, or perhaps it’s determined by social shares. The fact is that the emphasis seems to be more on the quality of the content. What’s the best way to increase the chances of your article being picked up in a channel, you ask? Craft something unique, compelling, and well-written. Great content leads to great engagement.